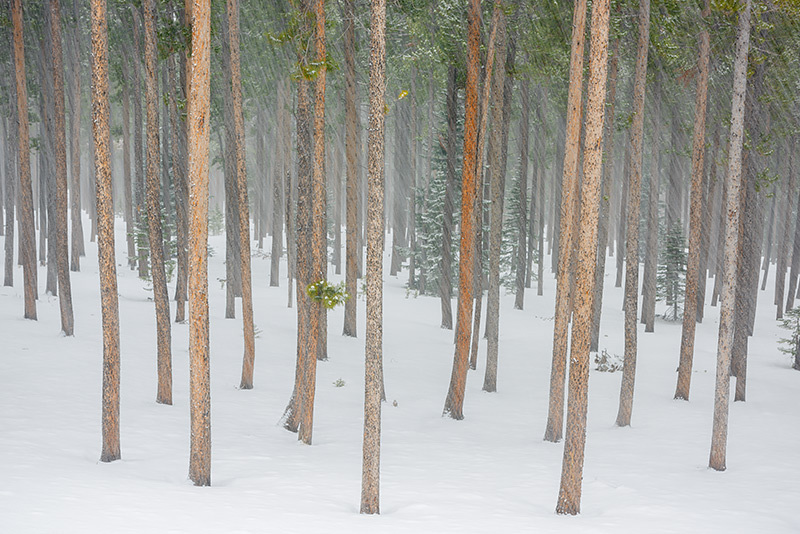 Lodgepole pines along the base of the Twin Sisters in Rocky Mountain National Park stand tall and straight through the falling snow of winter. I love photographing trees, especially when the snow is falling. The unique color of each Lodgepole pine and the snow falling in the forest was just about perfect. Photo © copyright by Thomas Mangan.